Set microscope slides, coverslips, and superglue outside when it's 20°F or colder to chill them. Catch flakes on the slides or pick them up with cold tweezers. 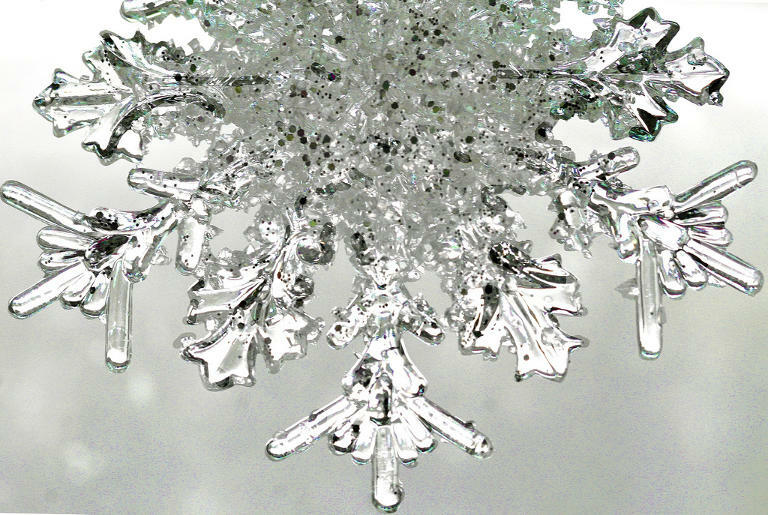 Place a drop of superglue on the snowflake. Note: Gel glue doesn't work. Find a brand that's thin and runny. Drop a coverslip over the glue. Don't press down hard or the flake could tear or melt from the heat of your finger. Leave the slide in a freezer for one or two weeks and don't touch it with warm hands. The glue must completely harden before the snowflake warms up.